This assumes a multi-level water loss (Class 1 | Cat 1). 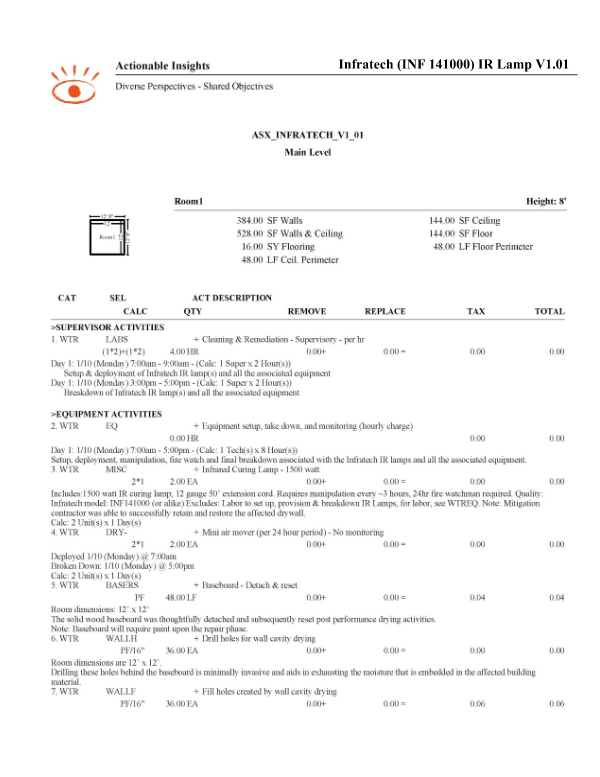 This Insight Sheet exists to clarify how one might invoice for an Infratech IR Lamp. This does not seek to include or make concessions for all equipment and/or activities as it relates to a loss of this nature. This sheet is tight. Thanks AI! This is so helpful, are there more than one brand of these IR Lamps? Where can we buy them? 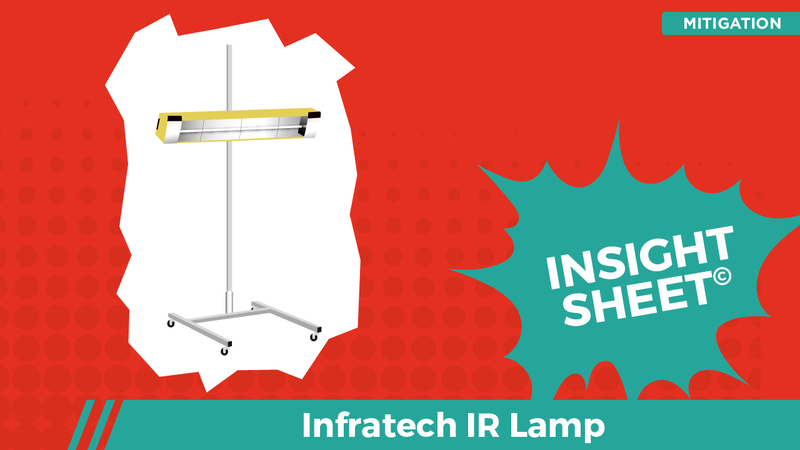 Finally, we have an idea how best to invoice for these IR Lamps. This is a huge help. I had a challenge pushing a mitigation estimate through with AAA where I used IR Lamps. Do you think this will help? AAA (So-Cal) can be tough now days. AAA Nor-Cal is no problem, business a usual.